122-665005002080 Features: -Provides superior rust, oxidation and corrosion resistance. -Designed to meet the high temperature conditions of modern universal joints, the extreme pressures of wheel bearings and the water washout conditions of fifth wheels and chassis points. -Temp. Range: -10.0 °F [Min], 325.0 °F [Max]. -Unit Sold is in measure of 1 Box. Product Type: -High Temperature Grease. Generic Dimensions: -Style: Cap. Wt. :8.8''lb, Pkg Box - Price is for 1 Box, 8.8LB/Box. Dimensions: Overall Product Weight: -8.8 Pounds. 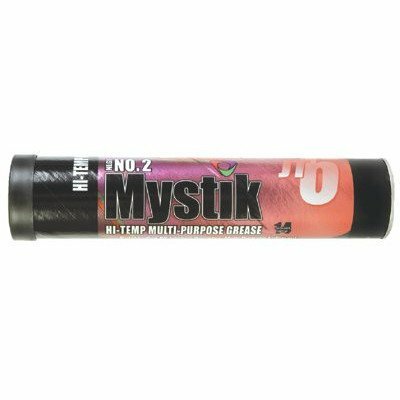 If you have any questions about this product by Mystik, contact us by completing and submitting the form below. If you are looking for a specif part number, please include it with your message.